Isn’t it always the perfect occasion for bubbles? 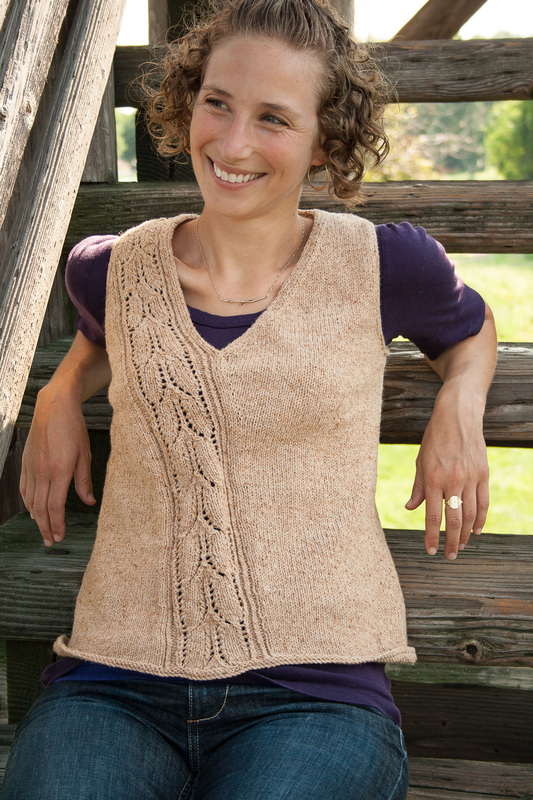 Thea Colman has been busy as a bee this summer working on new patterns and revamping some of her favorites. And what’s worth celebrating, is that she’s discounting each renewed pattern as it’s relaunched. We hope that you’ll take advantage of this special deal and treat yourself to something as delightful as a flute of sparkling wine! She recently updated one of our favorites, Champagne. The original pattern is wonderfully workable, and Thea has improved it by adding more stitch counts, comments, centimeters, a new layout, and more. “Champagne is an elegant top that will take you from late summer right into fall. A soft, rustic yarn in a neutral tone goes with anything – a tank top and flirty skirt in summer, or jeans and a crisp blouse as the days get cold. The cotton wool mix in Spinnery Cotton Comfort is perfect for either, and the vest provides just enough warmth for the transition in season. Show here in the Winter Beech colorway, this unusual undyed yarn gets its color from the lovely cinnamon toned cotton grown for us by Sally Fox in California. 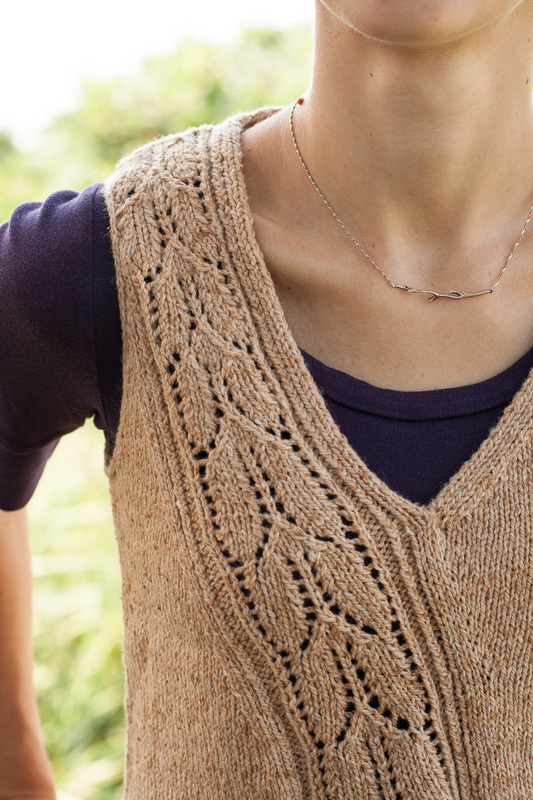 As you can see, this DK weight yarn shows off Thea’s elegant lace panel to perfection. 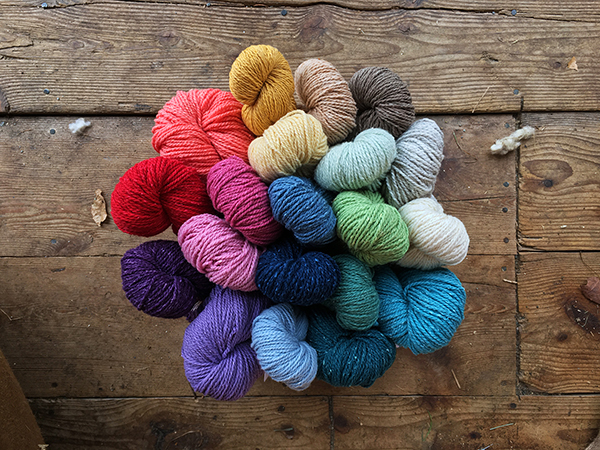 And our Cotton Comfort line has such a rich palette for you to play with! If you’ve already purchased a copy of this pattern, you’ll find an updated version in your Ravelry Library ready to download; so now’s the perfect time to cast on. For anyone who hasn’t bought the pattern yet, use the Ravelry Code: “More Champagne ” and it enjoy 50% off the pattern till July 10, 2018. Thank you Thea! Previous Previous post: A new cowl pattern and a limited edition kit!